Northern Continental Heating and Cooling, Inc.
Barrington Heating & Air Conditioning, Co. Comment: I would like to get an estimate for hvac and air ducts to be installed in my new construction home. Comment: Just over 1900 sq ft, currently running split ductwork that I would like combined. Will likely need to do vertical loop install. Comment: the electronic starter turns on but then that's it. Comment: Currently large furnace does not have power. Comment: Furnace replacement. Two story 2600 square feet plus finished basement. Crystal Lake Heating & Furnace Contractors are rated 4.79 out of 5 based on 1,502 reviews of 36 pros. 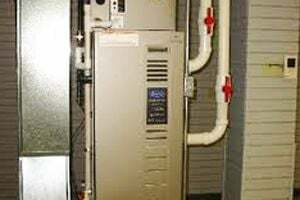 Not Looking for Heating & Furnace Systems Contractors in Crystal Lake, IL?